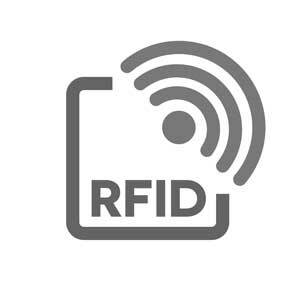 Today, there is an increasing requirement for telecommunications in wearable devices such as fitness and healthcare monitoring, automotive sensors and RFID/NFC for smart packaging. To ensure cost effective application, there is a drive to additively print on low cost substrates such as polycarbonate and paper using R2R processing techniques. Dycotec supply both silver and copper based pastes. To enable rapid design changes for flexible antenna production, copper inkjet techniques can be used. Our conductive ink and pastes systems are ideal for UHF applications. For more environmentally friendly conductive paste, our high conductivity carbon based pastes such as 4311S can be used.